Share Your Story With Clarity & Confidence. Show Up At Your Next Pageant ready to Shine. Hey Hey There! I’m Kristen. I believe that every woman has it within them to be a queen. I help women in pageantry gain the clarity & confidence to communicate their unique strengths so that they can set themselves apart from other contestants. I take a strategic approach to working with women on pageant prep that starts with stepping back and evaluating core strengths & values and crafting a compelling message around the story of you. I then provide support in developing a plan for infusing your story into all areas of your pageant journey for online & off. Whatever stage of prep you’re in, or whether you have specific hangups with interview, building your pageant platform, or learning to share your story, I’m here to help. I’ve got you girl! Looking as good online as you do offline… this is where I come in! Whether you need a full social media overhaul to represent your personal brand in a really authentic way, or you just need some templates to help pull your look together, I’ve got a solution for you. Ready to get super clear & confident about your pageant brand? I want to help you show up as the best version of yourself whether you are competing or carrying out your year as a titleholder. In this free workbook, learn how to stand out from other pageant contestants by defining your personal brand voice and clarifying the message of what makes YOU special and unique. 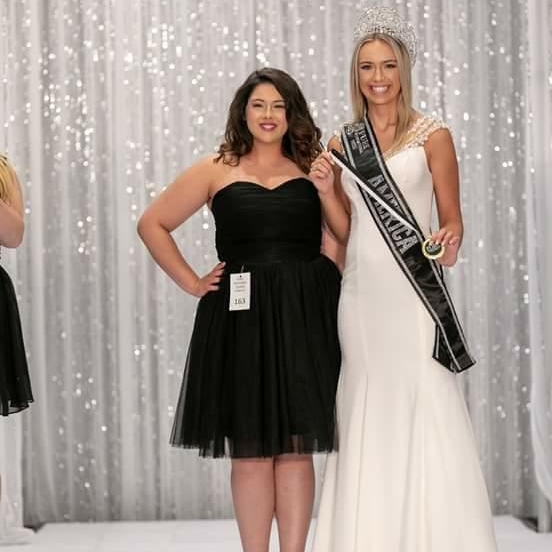 "I was super anxious about my first National Pageant especially the interview. Being used to a panel style and going into round robin was a shock! Luckily I had Kristen who helped coach me through the questions that always stumble me up. She gave me a plan that was made just for me and told me what to focus on. It helped me brand myself throughout pageant week and during the interview. I can not stress enough how worthwhile it was to work with her. But I can try! How does walking away with the Miss Division National Best Interview sound!?!" Thanks to everyone for your votes for Pageant Planet’s Best in Pageantry Awards! I’m so honored to have been nominated for 2018.